Being a mommy definitely has it's fashion perks and the right to wear comfy, laid back clothing is one of them. You all know by now that I'm obsessed with button-ups because of breastfeeding; they're the most logical choice for tops and luckily are everywhere right now. 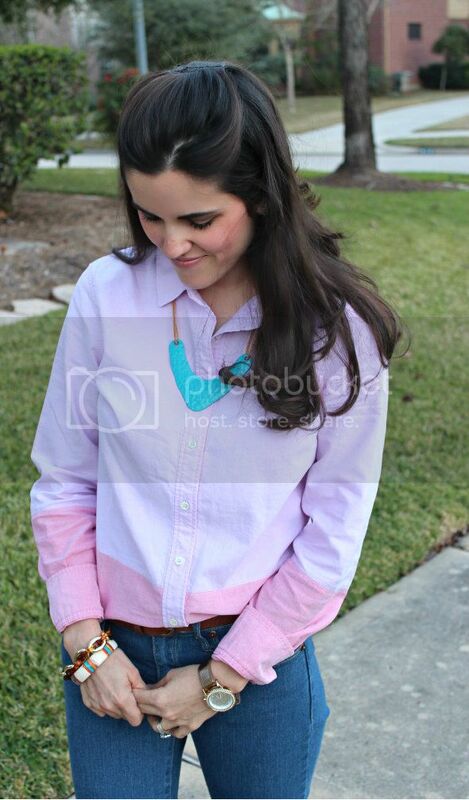 I've had my eye on this colorblock oxford from J.Crew for awhile and alas, it finally went on sale. Momma's gotta find deals, too. Are you following the colorblock trend? Any other styles you're loving? Do tell!